Explore earlier Pukeahu National War Memorial Park pictures by browsing Manatū Taonga’s photostream on Flickr. 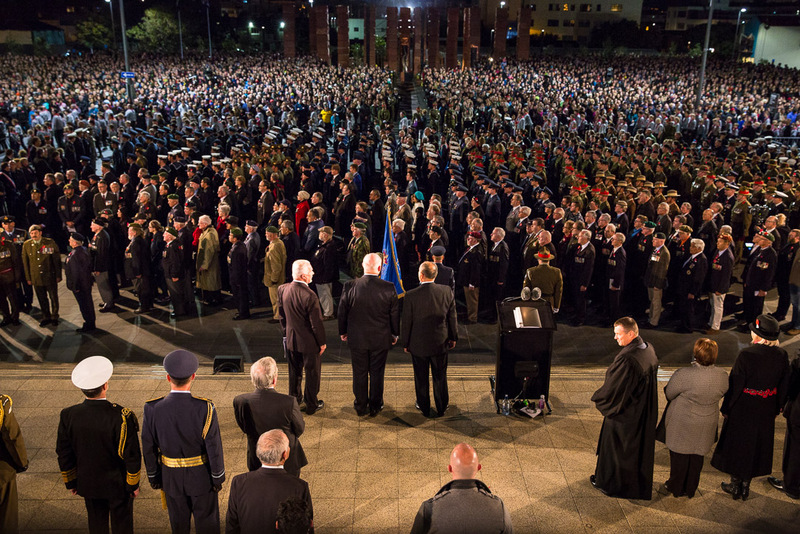 Honour Guard vigil at the Dawn Service on Anzac Day 2016. Mr Jim France, representing the veterans of the Pacific War with former Minister Peter Dunne. 70th anniversary of the end of the World War Two in the Pacific - 15 August 2015. View of the Dawn Service Parade at Anzac Square on Anzac Day 2015. Former Prime Ministers Tony Abbott and John Key at the Australian Memorial Dedication Ceremony. View of the opening ceremony in April 2015. View of the Arras Tunnel under construction in 2013.